Paul Prouty, a 41-year veteran of the General Services Administration who was suspended in April following revelations of overspending at a Las Vegas training conference, has left the agency, a GSA spokesman confirmed. 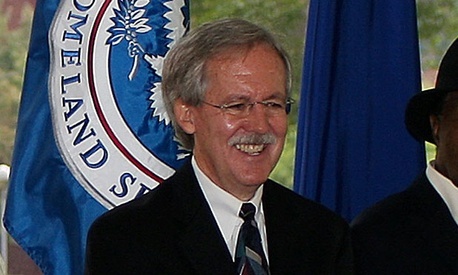 Prouty, who served briefly in Washington as acting GSA chief in 2009, had until his departure been GSA’s Public Buildings Service Region 8 commissioner, based in Denver. In the fallout from the $820,000 four-day conference for 300 employees, it was reported that Prouty had reorganized the agency to lower the status of regional administrators, giving more power to commissioners, among them Jeff Neely, the main force behind the controversial conference. Both Prouty and Neely received performance bonuses in 2011, before the problems at the 2010 Las Vegas event was made public. Prouty joined GSA in 1971, according to an agency biography. He received the Presidential Meritorious Rank Award in 2000, was named the Outstanding Federal Executive by the Greater Boston Federal Executive Board in 1997, and received GSA’s Distinguished Service Award in 1998 and 1987.